Single phase rotary type (mod.10÷35),3-phase (mod.40÷150) scroll type compressors, with built-in thermal overload cut-out and crankcase heater, mounted on rubber vibration dampers. Mod. 40÷60 are available with single phase compressors. High efficiency, double inlet centrifugal fan Protection level IP44. Low noise, low speed, big air flow and high ESP. High efficiency coaxial heat exchanger, factory insulated with flexible close cell material. Copper tube connection with charge valves, filter, capillary for mod. 10÷60(except Model 70 and above models, which use expansion valve) ; high pressure switch and low pressure switch. The heat pump units are complete also with 4-way valve and one way valve. Water kit conditions: Water side water inlet/outlet temperature 30ºC/35ºC, Indoor temperature DB 27 ºC, WB 19 ºC. 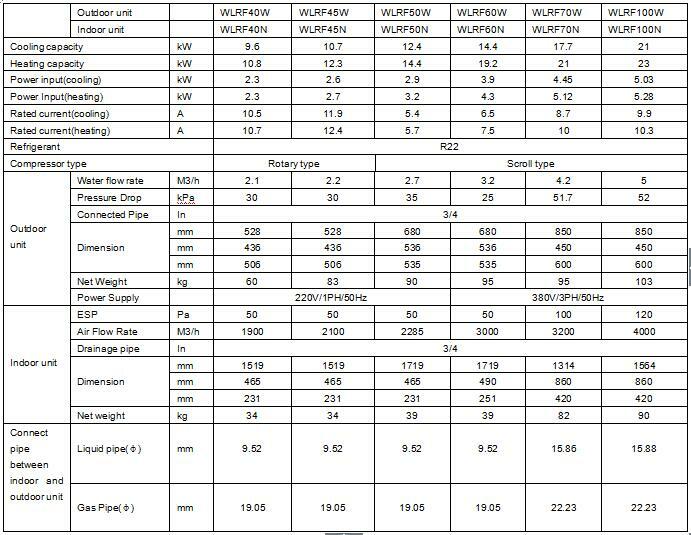 Water kit conditions: Water side water inlet 20ºC/, Indoor temperature DB 20 ºC, WB 15 ºC . 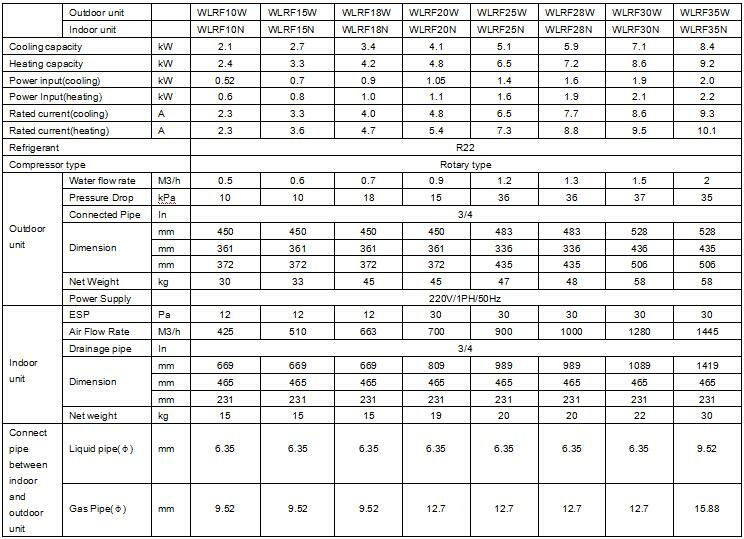 The pressure design for standard unit is 1 MPa , If you have any special request, please inform me.